Why the son, 46-year-old Shubhabrata Majumdar, did this is not clear. Both he and his aged father, Gopal Majumdar, have been detained for questioning. Why her son stored her body in a commercial freezer is yet to be known. The body of an elderly woman was recovered from a freezer, the kind used to store ice cream in commercial outlets, from a house in Kolkata. The woman, Bina Majumdar, had died on 7 April 2015 when she 84 years old. Her son, a leather technology graduate, is suspected to have removed her intestines and mummified the body with chemicals before keeping it in the fridge. 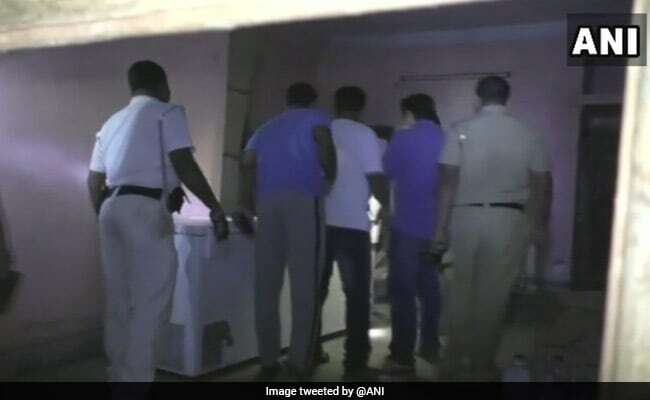 Acting on a tip off, the police raided the Majumdar home on James Long Sarani in south-west Kolkata's Behala area last night and found the body. A second freezer was also found in the Majumdar home. Police sources say the son had got the second freezer at some time when the first freezer in which the body was giving mechanical trouble. There are two or three possible theories being probed by police. According to the police, the son had used a debit card to withdraw his mother's pension for the last three years. He had also submitted a "live certificate" so the pension would continue. Bina Majumdar was an employee in the Food Corporation of India or FCI and drew a monthly pension reportedly of Rs 50,000. Her husband also worked at FCI till retirement. Another motive being probed is the loss of mental balance both of the father and son. Sources say the father had convinced his son that he could bring the mother back to life. According to the police, Bina Majumdar died on 7 April 2015 at Balananda Hospital at 9.55 pm of severe hypoglycemia and related shock. The family had taken away the body from the hospital. What happened next is not clear. Neighbours said whenever they asked the son about his mother's body, he said it was kept at a mortuary called 'Peace Haven'. A senior police officer said there was a mark of an incision in Bina Majumdar's body. The cause will be clear only after a post-mortem. There were also several containers found in the house. They have been sent for forensic examination.